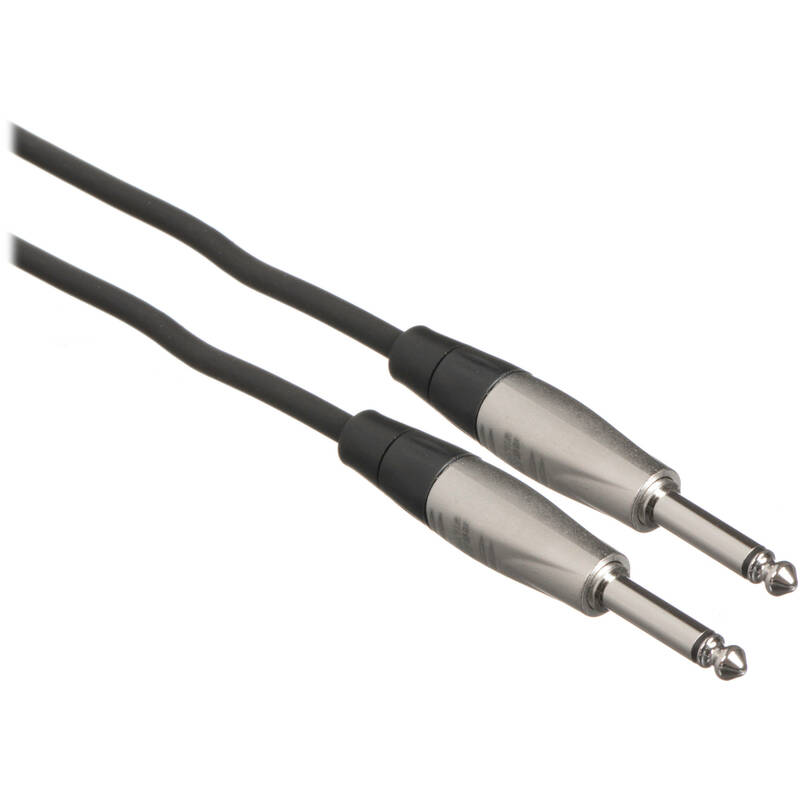 The Pro Unbalanced REAN 1/4" M to 1/4" M TS Cable - 5' by Hosa Technology is specifically designed to connect pro audio gear such as compressors and mic pre's with unbalanced phone jacks. It's ideal for touring or other live-sound applications but can also be used at home or in the studio. This 24 AWG cable features nickel-plated REAN plugs and Oxygen-free Copper (OFC) conductors for enhanced signal clarity. The 90% OFC spiral shields provide flexibility and optimum EMI/RFI (Electromagnetic and Radio Frequency Interference) rejection. Box Dimensions (LxWxH) 3.3 x 1.3 x 0.8"